We love barre fitness classes, and for those of you who are not yet enthusiasts like us, we wanted to share with you why we think you should try barre now. We picked our top 10 reasons but we are sure we could add more reasons to take barre beyond that. Full body workout. A good barre class will work your body from head to toe. In fact, many classes will go through each muscle group of your body to offer a full body workout. 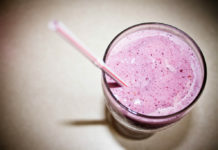 Many women also love that it focuses on some “favorite” trouble areas that many like to give some extra TLC to. Reminds you of ballet class with higher energy music. If you want to relive your days at the barre in ballet class but want something a little more different than classical ballet music, this class is for you. You might have déjà vu with some of the positions you will revisit at the barre, but you will get to plié to songs by artists like Selena Gomez and Fifth Harmony. Gentle on the body without being too easy. While a lot of popular workouts might require a lot of plymetrics (jumping exercises) and force put upon joints, barre does not. Barre is gently on the joints. However, that does not mean barre will be easy, it remains challenging without putting unnecessary stress on joints. Barre is for everyone. It does not matter your age, size, or gender, barre is for you. Barre is most popular among women, but men also can and do attend barre. Often studios even offer special men classes to show even the most macho of men, barre is hard! Toning and cardio in one. Barre keeps your body in motion, helping you elevate your heart rate and thus your cardiovascular endurance. Barre also works your muscles to strengthen and tone with your own body weight and sometimes other equipment. The other equipment includes small hand weights (no more than 3 lbs usually), bands, and small stability balls. Get super flexy. Because a lot of inspiration is from dance, yoga, and Pilates, stretching is an important part of any barre class. After working a muscle group really hard, many classes will take time to then lengthen the muscles afterwards. Often classes also will let you work on your flexibility with a stretch led at the end of the session. Varied workouts. You will not need to worry about boredom in barre class. Barre classes are varied and offer new challenges everyday. You will be amazed at how barre instructors can bring new and creative exercises to every class. Improved posture. Because of the ballet inspiration, posture and body alignment is important. Why should you care? Superficially posture helps people appear taller and leaner. Posture also helps people to lessen and/or prevent back pain, improve breathing, and look more confident. Positive energy. 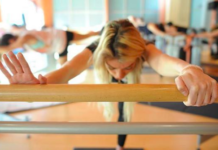 Barre classes offer a unique experience not only in fitness but energy. Even though you are exercising, barre class often feels like a party with good vibes only.